There is the adventure of the sea and the thrill of sailing on an ocean-going yacht. There are new places to visit, some of which can only be reached by boat. There are new things to learn and friends to make. But remember, it is often challenging, so the more you put into it, the more you gain. 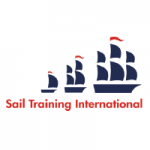 We have three Sail Training yachts, between 62 and 75 feet in length (19 to 23 metres) that have been designed and fitted out by us specifically for Sail Training. 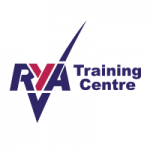 Each is crewed by a highly experienced volunteer Afterguard and a crew of 12 to 15 young people in 2 age groups; 14 and 15 year olds and 16 to 19 year olds. 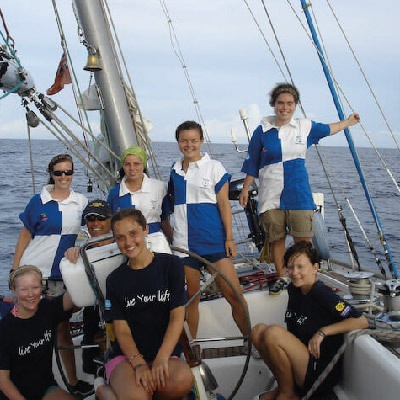 Awards are issued to crew members who try their best and show commitment to the voyage. 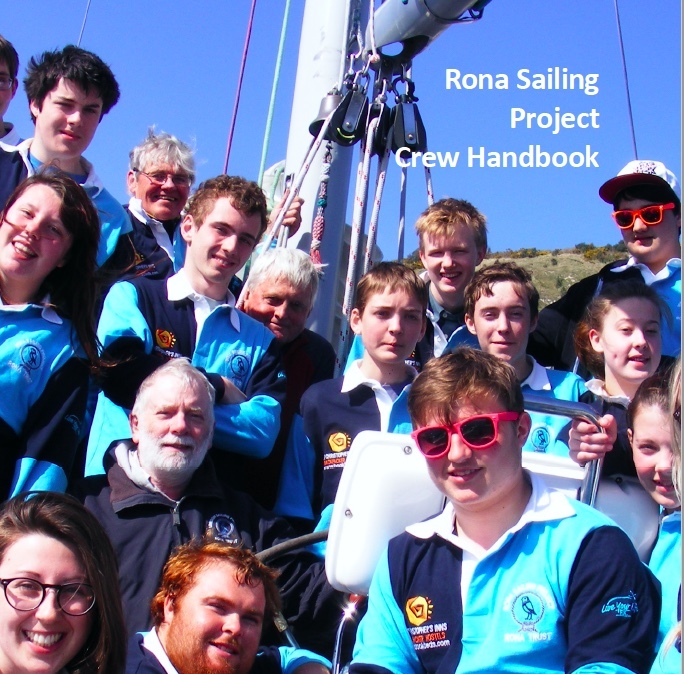 Our voyage on Donald Searle was absolutely fantastic – everyone who can, whether experienced sailor or committed landlubber, should take the opportunity to go on a Rona voyage; it will change your life! 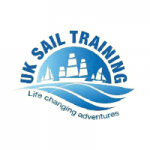 Our aim is not to produce sailors, but more rounded individuals able to work in a team and discover their potential. 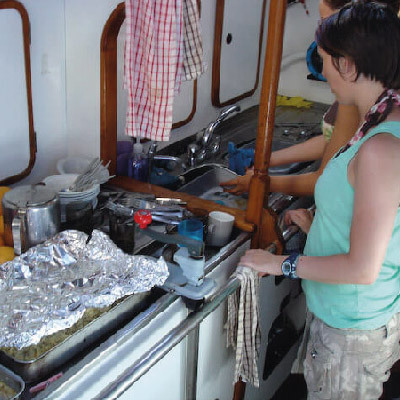 What many youngsters who come sailing with us find is that the biggest challenge is working in a team, not just to sail the boat, but to cook and clean as well. 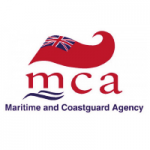 Whilst you are on board there is plenty to learn and do and it is hard but rewarding work. 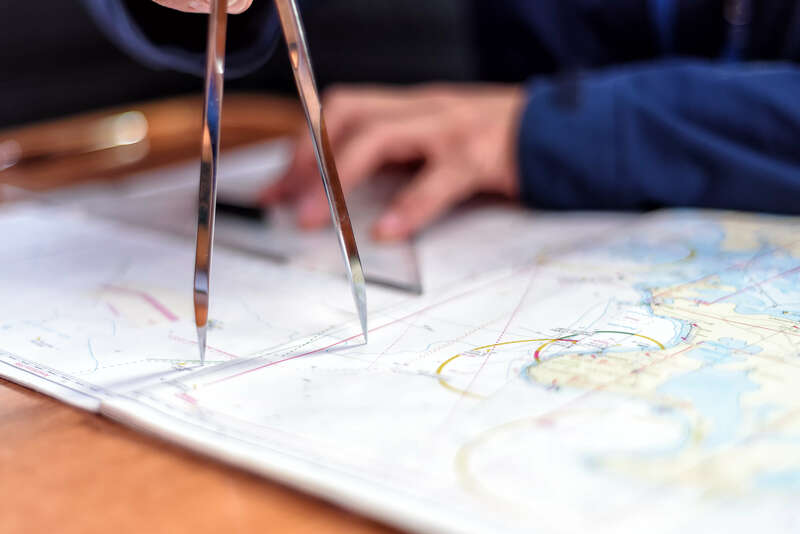 Whether it is the excitement of steering a large and powerful yacht under full sail, navigating using the latest satellite systems or preparing a meal for 20 hungry crew-mates, it will all be a new adventure. 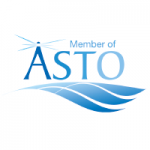 Have a look at the FAQs for more information. The yachts sail all along the South Coast of England and across to France and the Channel Islands on six-day voyages. 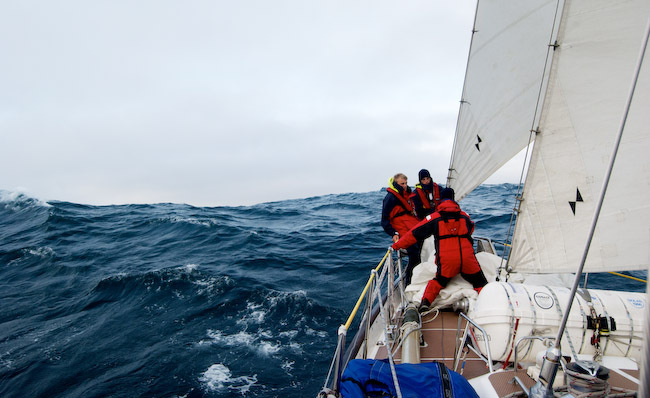 Sailing a large ocean-going yacht is one of the most exciting adventures that you can have. It’s not just the sailing that is the adventure but there is usually time to visit lively seaside ports like Weymouth and quiet anchorages with unspoilt sandy beaches (perfect for barbecues). If you are over 16 you will probably visit small French ports like Honfleur or St Vaast that the ferries can’t reach, putting the romance and adventure back into crossing the Channel. 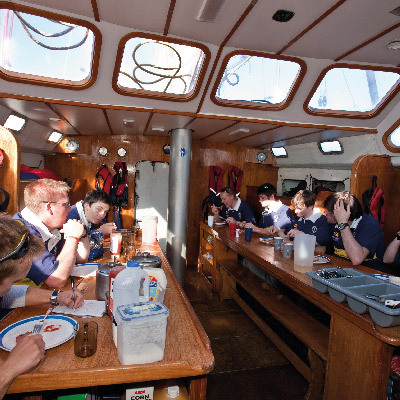 Sitting in a French cafe with your fellow crew is even better if you’ve sailed there. What kit shall I bring? What happens during my voyage? Who’s who in the Afterguard? Who will the other Crew Members be? What rules are there on board? Download the and remember to check out the FAQs. 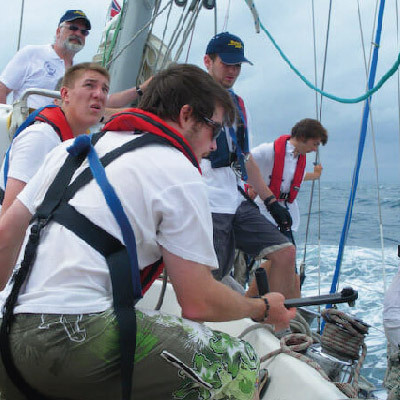 When you decide to sign up to a voyage give us a call and start planning your adventure!